Adrian Newton is a cereal pathologist by training but his current research spans broader aspects of arable crops in the context of integrated crop management. His first degree was in Agricultural Botany from the University of Reading, followed by a PhD in Genetics from the University of Birmingham. His PhD and subsequent post-doc work at Birmingham were on the population biology of Puccinia striiformis (yellow rust) and Phaeosphaeria nodorum (Stagonospora nodorum formerly Septoria nodorum; glume blotch) on wheat and barley. Moving to the former Scottish Crop Research Institute he focussed on Blumeria graminis (formerly Erysiphe graminis; powdery mildew) and Rhynchosporium commune (formerly Rhynchosporium secalis; rhynchosporium or scald) on barley. This work continued his interest in pathogen population biology but focussed more on disease control through resistance, tolerance, exploitation of in-crop diversity and the development of resistance elicitors as crop protectants. Other interests included adaptation to climate change in plant pathology. Adrian’s research interests in cereal pathogens continue, including Ramularia collo-cygni (Ramularia Leaf Spot). The crop diversity interest has taken more of an ecological focus working with Hutton colleagues and others, and has encompassed intercropping, especially cereal-legume combinations for both biomass (wholecrop) and grain. His IPM interests in general have included soil cultivation, particularly the effects of non-inversion versus inversion tillage. The particular approach of direct drilling or conservation tillage and it’s farming systems context are another current area of interest and exciting developments. Some links to previous areas of work: Epidemiology, crop protection and resistance deployment; Resistance elicitors; Analysing epidemic spatial trends and local competition effects in heterogeneous vegetation and cultivar mixtures in general. 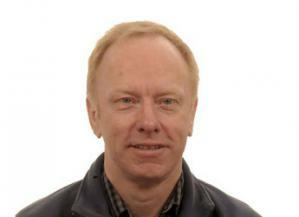 Adrian is a key staff member leading Integrated Pest and Disease Management (IPM) research at the Institute. For details of ongoing IPM research areas and projects, please visit the IPM@hutton website. He is also honoured to be a Visiting Professor of Cereal Pathology at SRUC, Edinburgh; an editor for Plant Pathology; a Member of the Association for Crop Protection in Northern Britain Standing Committee and Programme Committee and its Treasurer; a Member of HGCA Barley, Oats and Other cereals Recommended List Committee; a Member of Scottish Variety Consultative Committee (Cereals); a Member of the International Committee for the International Workshop on Barley Leaf Diseases; a Member of the Scottish Society for Crop Research - Combinable and Energy Crops Committee; and an Associate of the Centre for Environmental Change and Human Resilience. RESAS Innovation: Biocontrol for plant and human pathogens on horticultural produce (completed 2018). Newton, A.C.; Guy, D.C.; Hackett, C.A. (In press) The grain and straw yield in cultivar mixtures., Journal of Agricultural Science. Newton, A.C.; Creissen, H.E. ; Havis, N.D.; Burnett, F.J. (In press) Integrated disease management of barley., In: Fox, G. & Li, C. (eds.). Achieving Sustainable Cultivation of Barley. Burleigh Dodd Series in Agricultural Science. Burleigh Dodds Science Publishing Ltd., Cambridge, Chapter 18.
de Vega, D.; Newton, A.C.; Sadanandom, A. (2018) Post-translational modifications in priming the plant immune system: ripe for exploitation?, FEBS Letters, 592, 1929-1936. Davis, J.L. ; Armengaud, P.; Larson, T.R. ; Graham I.A. ; White, P.J. ; Newton, A.C.; Amtmann, A. (2018) Contrasting nutrient-disease relationships: Potassium gradients in barley leaves have opposite effects on two fungal pathogens with different sensitivities to jasmonic acid., Plant Cell and Environment, 41, 2357-2372. Brooker, R.W. ; Karley, A.J. ; Morcillo, L.; Newton, A.C.; Pakeman, R.J.; Schob, C. (2018) Crop presence, but not genetic diversity, impacts on the rare arable plant Valerianella rimosa., Plant Ecology and Diversity, 10, 495-507. Newton, A.C.; Guy, D.C.; Preedy, K. (2017) Wheat cultivar yield response to some organic and conventional farming conditions and the yield potential of mixtures., Journal of Agricultural Science, 155, 1045-1060. Vasileiadis, V.P. ; Dachbrodt-Saaydeh, S.; Kudsk, P.; Colnenne-David, C.; Leprince, F.; Holb, I.J. ; Kierzek, R.; Furlan, L.; Loddo, D.; Melander, B.; Jorgensen, L.N. ; Newton, A.C.; Toque, C.; van Dijk, W.; Lefebvre, M.; Benezit, M.; Sattin, M. (2017) Sustainability of European winter wheat- and maize-based cropping systems: economic, environmental and social ex-post assessment of conventional and IPM-based systems., Crop Protection, 97, 60-69. Schoeb, C.; Hortal, S.; Karley, A.J. ; Morcillo, L.; Newton, A.C.; Pakeman, R.J.; Powell, J.R.; Anderson I.C. ; Brooker, R.W. (2017) Species but not genotype diversity strongly impacts the establishment of rare colonisers., Functional Ecology, 31, 1462-1470. Lechenet ,M.; Deytieux, V.; Antichic, D.; Aubertot, J.-N.; Bàrberi, B.; Bertrand, M.; Cellier, V.; Charles, R.; Colnenne-David, C.; Dachbrodt-Saaydeh, S.; Debaeke, P.; Doréi, T.; Farcy, P.; Fernandez-Quintanilla, C.; Grandeau, G.; Hawes, C.; Jouy, L.; Justes, E.; Kierzek, R.; Kudsk, P.; Lamichhane, J.R.; Lescourret, F.; Mazzoncini, M.; Melander, B.; Messéan, A.; Moonen, A.C.; Newton, A.C.; Nolot, J.M. ; Panozzo, S.; Retaureau, P.; Sattin, M.; Schwarz, J.; Toqué, C.; Vasileiadis, V.P. ; Munier-Jolain, N. (2017) Diversity of methodologies to experiment Integrated Pest Management in arable cropping systems: analysis and reflections based on a European network., European Journal of Agronomy, 83, 86-99. Kaczmareka, M.; Piotrowska, M.J.; Fountaine, J.M. ; Gorniak, K.; McGrann, G.R.D. ; Armstrong, A.; Wright, K.M. ; Newton, A.C.; Harvis, N.D. (2017) Infection strategy of Ramularis collo-cygni and development of Ramularia leaf spot on barley and alternate graminaceous hosts., Plant Pathology, 66, 45-55. Hopkins, D.W.; Wheatley, R.E. ; Coakley, C.M. ; Daniell, T.J.; Mitchell, S.M. ; Newton, A.C.; Neilson, R. (2017) Soil carbon and nitrogen and barley yield responses to repeated additions of compost and slurry., Journal of Agricultural Science, 155, 141-155. Brooker, R.; Iannetta, P.; Karley, A.; Newton, A.; Pakeman, R. (2017) Crop mixtures in the Strategic Research Programme., Workshop Report, James Hutton Institute, Dundee, 27 July 2017. Report circulated to workshop attendees. Newton, A.C. (2016) Exploitation of diversity within cops - the key to disease tolerance?, Frontiers in Plant Science, 7, Article No. 665. Brooker, R.W. ; Karley, A.J. ; Newton, A.C.; Pakeman, R.J.; Schob, C. (2016) Facilitation and sustainable agriculture: a mechanistic approach to reconciling crop production and conservation., Functional Ecology, 30, 98-107. Gravouil, C.E.L. ; Newton, A.C.; Bingham, I.J. (2016) The invisible risk of saprophytes: a cryptococcus/rhynchosporium case study., Proceedings of Crop Protection in Northern Britain 2016, Apex City Quay Hotel, Dundee, 23-24 February 2016. Squire, G.; Cammarero, D.; Daniell, T.; Newton, A.C.; White, P.J. (2016) Agriculture and forestry climate change report card technical paper. 3. Arable Crops., Living With Environmental Change (LWEC) Network with additional support from the Scottish Government. Brooker, R.; Karley, A.; Pakeman, R.J.; Newton, A.; Schob, C.; Morcillo, L. (2016) Biodiversity and function., In: Brooker, R., Hester, A. & Pakeman, R.J.(eds.). Ecosystem Services. The James Hutton Institute, Craigiebuckler, Aberdeen, pp6-7. Wiesel, L.; Davis, J.L. ; Milne, L.; Fernandez, V.R. ; Herold, M.B. ; Williams, J.M. ; Morris, J.; Hedley, P.E. ; Harrower, B.; Newton, A.C.; Birch, P.R.J. ; Gilroy, E.M.; Hein, I. (2015) A transcriptional reference map of defence hormone responses in potato., Scientific Reports, 5, Article No. 15229. Skelsey, P.; Newton, A.C. (2015) Future environmental and geographic risks of Fusarium head blight of wheat in Scotland., European Journal of Plant Pathology, 142, 133-147. Pakeman, R.J.; Karley, A.J. ; Newton, A.C.; Morcillo, L.; Brooker, R.W. ; Schob, C. (2015) A trait-based approach to crop-weed interactions., European Journal of Agronomy, 70, 22-32. Looseley, M.E. ; Keith, R.; Guy, D.; Barral-Baron, G.; Thirugnanasambandam, A.; Harrap, D.; Werner, P.; Newton, A.C. (2015) Genetic mapping of resistance to Rhynchosporium commune and characterisation of early infection in a winter barley mapping population., Euphytica, 203, 337-347. Schoeb, C.; Kerle, S.; Karley, A.J. ; Morcillo, L.; Pakeman, R.J.; Newton, A.C.; Brooker, R.W. (2015) Intraspecific genetic diversity and composition modify species-level diversity-productivity relationships., New Phytologist, 205, 720-730. Holden, N.; Newton, A.C.; Walters, D. (2015) Use of plant defence elicitors to provide induced resistance protection in brassica and allium crops., Annual Report on HDC Project FV417. Wiesel, L.; Newton, A.C.; Elliot, I.; Booty, D.; Gilroy, E.M.; Birch, P.R.J. ; Hein, I. (2014) Molecular effects of resistance elicitors from biological origin and their potential for crop protection., Frontiers in Plant Science, 5, Article No. 655. Skelsey, P.; Newton, A.C. (2014) Scale-dependent assessment of relative disease resistance to plant pathogens., Agronomy, 4, 178-190. Looseley, M.E. ; Newton, A.C. (2014) Assessing the consequences of microbial infection in field trials; seen, unseen, beneficial, parasitic and pathogenic., Agronomy, 4, 302-321. George, T.S. ; Brown, L.K. ; Ramsay, L.; White, P.J. ; Newton, A.C.; Bengough, A.G.; Russell, J.; Thomas, W.T.B. (2014) Understanding the genetic control and physiological traits associated with rhizosheath production by barley (Hordeum vulgare L.)., New Phytologist, 203, 195-205. Thomas, W.T.B. ; Comadran, J.; Ramsay, L.; Shaw, P.; Marshall, D.F. ; Newton, A.C.; O'Sullivan, D.; Cockram, J.; Mackay, I.; Bayles, R.; White, J.; Kearsey, M.J.; Luo, Z.; Wang, M.; Tapsell, C.; Harrap, D.; Werner, P.; Klose, S.; Bury, P.; Wroth, J.; Argilllier, O.; Habgood, R.; Glew, M.; Bochard, A-M.; Gymer, P.; Vequaud, D.; Christerson, T.; Allvin, B,; Davies, N.; Broadbent, R.; Brosnan, J.; Bringhurst, T.; Booer, C.; Waugh, R. (2014) Association genetics of UK elite barley (AGOUEB)., Final Project Report to HGCA, No 528, 125pp. Skelsey, P.; Newton, A.C. (2014) Impacts on Agriculture: ‘‘Climate Change and Wheat Fusarium Head Blight Epidemics: Present and Future Risks., CXC Summary Report. Newton, A.C.; Pons-Kuhnemann, J. (2014) Induced resistance in natural ecosystems and pathogen population biology: exploiting interactions., In: Walters, D., Newton, A. & Lyon, G. (eds.). Induced Resistance for Plant Defence: A Sustainable Approach to Crop Protection. 2nd edition. John Wiley & Sons, Ltd, Chichester, UK, pp137-148. Walters, D.R. ; Newton, A.C.; Lyon, G.D. (eds.). (2014) Induced resistance for plant defence: a sustainable approach to cop protection., 2nd edition, Blackwell Science, Oxford, 352pp. Matthews, R.B. ; Rivington, M.; Muhammed, S.; Newton, A.C.; Hallett, P.D. (2013) Adapting crops and cropping systems to future climates to ensure food security: the role of crop modelling., Global Food Security, 2, 24-28. Walters, D.R. ; Avrova, A.; Bingham, I.J. ; Burnett, F.J.; Fountaine, J.; Havis, N.D.; Hoad, S.P. ; Hughes, G.; Looseley, M.; Oxley, S.J.P. ; Renwick, A.; Topp, C.F.E. ; Newton, A.C. (2012) Control of foliar diseases in barley: towards an integrated approach., European Journal of Plant Pathology, 133, 33-73. Zhan, J.; Yang, L.; Zhu, W.; Newton, A.C. (2012) Pathogen populations evolve to greater race complexity in agricultural systems - evidence from analysis of Rhynchosporium secalis virulence data., PLoS ONE, 7, Article No. e38611. Bingham, I.J. ; Hoad, S.P. ; Thomas, W.T.B. ; Newton, A.C. (2012) Yield response to fungicide of spring barley genotypes differing in disease susceptibility and canopy structure., Field Crops Research, 139, 9-19. Newton, A.C.; Flavell, A.J. ; George, T.S. ; Leat, P.; Mullholland, B.J. ; Ramsay, L.; Revoredo-Giha, C.; Russell, J.R.; Steffenson, B.J. ; Swanston, J.S. ; Thomas, W.T.B. ; Waugh, R.; White, P.J. ; Bingham, I.J. (2011) Crops that feed the world 4. Barley: a resilient crop? Strengths and weaknesses in the context of food security., Food Security, 3, 141-178. Newton, A.C.; Guy, D.C. (2011) Scale and spatial structure effects on the outcome of barley cultivar mixture trials for disease control., Field Crops Research, 123, 74-79. Chakraborty, S.K. ; Newton, A.C. (2011) Climate change, plant diseases and food security: an overview., Plant Pathology, 60, 2-14. Thirugnanasambandam, A.; Wright, K.M. ; Havis, N.D.; Whisson, S.C.; Newton, A.C. (2011) Agrobacterium-mediated transformation of the barley pathogen Ramularia collo-cygni with fluorescent marker tags and live tissue imaging of infection development., Plant Pathology, 60, 929-937. Thirugnanasambandam, A.; Wright, K.M. ; Atkins, S.D. ; Whisson, S.C.; Newton, A.C. (2011) Infection of Rrs1 barley by an incompatible race of the fungus, Rhynchosporium secalis, expressing the green fluorescent protein., Plant Pathology, 60, 513-521. Newton, A.C.; Johnson, S.N. ; Gregory, P.J. (2011) Implications of climate change for diseases, crop yields and food security., Euphytica, 179, 3-18. George, T.S. ; Brown, L.K. ; Newton, A.C.; Hallett, P.D. ; Sun, B.H. ; Thomas, W.T.B. ; White, P.J. (2011) Impact of soil tillage on the robustness of the genetic component of variation in phosphorus (P) use efficiency in barley (Hordeum vulgare L.)., Plant and Soil, 339, 113-123. Newton, A.C.; Fitt, B.D.L. ; Atkins, S.D. ; Walters, D.R. ; Daniell, T.J. (2010) Pathogenesis, parasitism and mutualism in the trophic space of microbe-plant interactions., Trends in Microbiology, 18, 365-373. Newton, A.C.; Akar, T.; Baresel, J.P.; Bebeli, P.J. ; Bettencourt, E.; Bladenopoulos, K.V. ; Czembor, J.H. ; Fasoula, D.A. ; Katsiotis, A.; Koutis, K.; Koutsika-Sotiriou, M.; Kovacs, G.; Larsson, H.; Pinheiro de Carvalho, M.A.A. ; Rubiales, D.; Russell, J.R.; dos Santos, T.M. ; Vaz Patto, M.C. (2011) Cereal landraces for sustainable agriculture., In: Lichtfouse, E., Hamelin, M., Navarrete, M. & Debaeke, P. (eds.). Sustainable Agriculture, Volume 2, Springer, Netherlands, 147-186. Swanston, J.S. ; Newton, A.C. (2009) Growing wheat for high alcohol yield - homogeneous and heterogeneous approaches., In: Davies, S. & Evans, G. (eds.). Soybean and Wheat Crops: Growth, Fertilisation and Yield. Nova Science Publishers Inc, Hauppauge, NY, USA, 165-184. Bingham, I.J. ; Newton, A.C. (2009) Crop tolerance of foliar pathogens: possible mechanisms and potential for exploitation., In: Walters, D. (ed.). Disease Control in Crops: Biological and Environmentally Friendly Approaches. Wiley-Blackwell, Chichester, Chapter 7, 142-161. Newton, A.C. (2009) Plant disease control through the use of variety mixtures., In: Walters, D. (ed.). Disease Control in Crops: Biological and Environmentally Friendly Approaches. Wiley-Blackwell, Chichester, Chapter 8, 162-171. Lyon, G.D.; Newton, A.C.; Walters, D.R. (2007) Induced resistance in crop protection: the future, drivers and barriers., In: Walters, D.R., Newton, A.C. & Lyon, G.D. (eds.). Induced Resistance for Plant Defence: A Sustainable Approach to Crop Protection. Blackwell Publishing, Oxford, Chapter 13, pp243-249. Newton, A.C.; Pons-Kuhnemann, J. (2007) Induced resistance in natural ecosystems and pathogen population biology: exploiting interactions., In: Walters, D., Newton, A. & Lyon, G. (eds.). Induced Resistance for Plant Defence: A Sustainable Approach to Crop Protection. Blackwell Science, Oxford, UK, pp133-142. Flath, K.; Cooke, M.; Waldow, F.; Vogt-Kaute, W.; Miedanar, T.; Rodemann, B.; Martinez, F.; Newton, A.C.; Jalli, M.; Munk, L.; Willas, J. (2006) Disease assessment., In: Donner, D. & Osman, A. (eds.). Handbook: Cereal variety testing for low input agriculture COST 860 SUSVAR Handbook. COST 860 SUSVAR. Roskilde, Denmark, ppD1-D30. Newton, A.C.; McRoberts, N.; Hughes, G. (2006) Information technology in plant disease epidemiology., In: Cooke, B.M., Jones, D.G. & Kaye, B. (eds.). The Epidemiology of Plant Diseases. 2nd edition, Kluwer Academic Publishers, Dordrecht, pp335-356. Lyon, G.D.; Newton, A.C. (1999) Implementation of elicitor mediated induced resistance in agriculture., In: Agrawal, A.A., Tuzun, S. & Bent, E. (eds.). Induced Plant Defense Against Pathogens and Herbivores: Biochemistry, Ecology and Agriculture. American Phytopathological Society Press, pp299-318. Forster, B.P. ; Ellis, R.P. ; Newton, A.C.; Tuberosa, R.; This, D.; El-Gamal, A.S.; Bahri, M.H. ; Ben Salem, M. (1999) Molecular breeding of barley for droughted low input agricultural conditions., In: Gissel-Nielsen, G. & Jensen, A. (eds.). Plant Nutrition - Molecular Biology and Genetics. Kluwer Academic Publishers, pp359-363. Newton, A. C.; Leakey, R. R. B.; Powell, W.; Chalmers, K.; Waugh, R.; Tchoundjeu, Z.; Mathias, P. J.; Alderson, P. G.; Mesen, J. F.; Baker, P.; Ramnarine, S. (1994) Domestication of mahoganies., In: Leakey, R. R. B. & Newton, A. C. (eds.) Tropical trees: the potential for domestication and the rebuilding of forest resources. HMSO, London, 256-266. (ITE Symposium, 29). Fitt, B.D.L. ; Atkins, S.D. ; Fraaije, B.A. ; Lucas, J.A. ; Newton, A.C.; Looseley, M.E. ; Werner, P.; Harrap, D.; Ashworth, M.; Southgate, J.; Phillips, H.; Gilchrist. A. (2012) Role of inoculum sources in Rhynchosporium population dynamics and epidemics on barley., HGCA Project Report No 486, 46pp. Newton, A.C.; Avrova, A.O. ; Thirugnanasambandam, A.; Looseley, M. (2011) Asymptomatic infection - the Trojan horse of crop production., Annual Report of the Scottish Crop Research Institute for 2010, pp14-15. Newton, A.C. (2009) Climate change research at SCRI., Annual Report of the Scottish Crop Research Institute for 2008, pp62-63. Jones, E.R.L. ; Newton, A.C. (2004) Rhynchosporium of barley., United Kingdom Cereal Pathogen Virulence Survey Annual Report for 2003. Swanston, J.S. ; Newton, A.C.; Hoad, S.; Brosnan, J.M. (2004) Wheat mixtures for grain distilling., Project Report to the Scottish Society for Crop Research. Birch, A.N.E. ; Boag, B.; Newton, A.C.; Gordon, S.C.; Fenton, B.; Malloch, G.; Hallett, P.D. ; Iannetta, P.P.M. ; Stephens, S.E. ; Neilson, S.; Wright, G.M. ; Marshall, B.; McKenzie, B.M. ; Squire, G.R. ; Gill, P.; Wheatley, R.E. (2004) The SCRI LEAF Innovation Centre: Agro-ecosystem research which develops and promotes sustainable agriculture strategies and policies for Scotland, UK and Europe., Annual Report of the Scottish Crop Research Institute for 2003/2004, pp107-114. Newton, A.C.; Swanston, J.S. (2004) Crop diversity - new opportunities for low-input industrial crops?, Annual Report of the Scottish Crop Research Institute for 2003/2004, pp154-156.